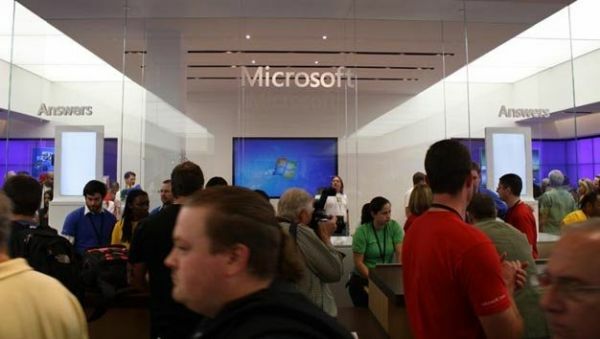 Along with the launch of Windows 7 last week, Microsoft launched another huge initiative - retail stores. Much like Apple does with their stores, Microsoft wants users to have a one stop shop for everything under the MS brand including PC and Xbox video games. In fact, you can actually bring your Xbox into one for service should you find yourself with one of those dreaded errors. There's another interesting thing that launched with the store, and that's games on demand printing for Games for Windows titles. You simply use a kiosk to select the game from the entire catalog, and the system will print you a brand new copy including the manual, boxart and case. The whole process takes about five minutes, and it makes me wonder why something like this wasn't in place sooner for PC gaming. It'll be that much easier to get yourself and a friend a copy of Dawn of War 2. In fact, why hasn't someone created an entire retail kiosk chain on this concept?